I went to a quilting retreat over the weekend with my guild. It was the first quilting retreat I've ever been to and it was the best-weekend-ever! I laughed hard, played hard, slept hard, and worked hard. 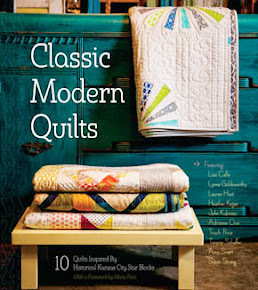 I love the Bay Area Modern Quilt Guild!! The first project I worked on at the retreat was Grey Goose. The votes are in and 75% voted for Option a, (teal, charcoal, lime and navy) so I packed that stack of fabric with me. I pre-cut the pieces at home before I left and it was the perfect way to ease into the retreat. The top came together quickly the first night. 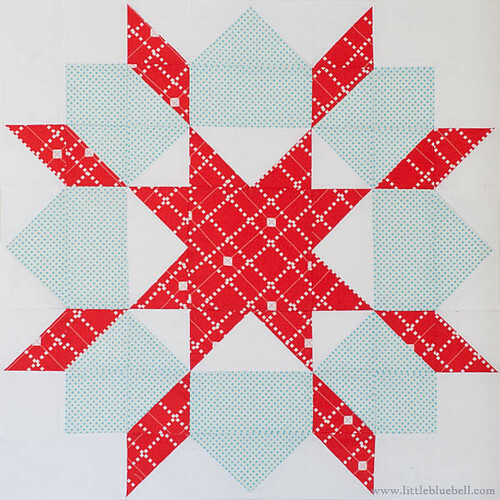 An alternate name might be, Shades of Geese, it's a play on words with the quilt block and the featured fabric (Shades of Grey by Daisy Janie). Grey Goose? Shades of Geese? I'm not sure yet. On Saturday, I and sat down to a serious session of quilting this quilt. Four hours later I came up for air and it's still not done. Whaaat?! Great progress though. I think another 4-6 hours should finish it up. Gulp. That is a lot of lines, yo. I don't want to show the whole thing until it's done. I think you're going to like it. Saturday night I decided to set the quilting aside and work on a Swoon block. Those pieces were also cut out so it was just a matter of putting it together. It may have been the late night, or the wine from dinner, but I had to resew that bottom corner four times (remember, a square only has four sides). It was pathetic and hilarious at the same time. Ruth and Amanda had to come to my rescue by physically taking the pieces from me, and handing them back to me, the right way. Love them! Where would we be without our friends? Up next, more Swoon! California Swoon #5 was quickly followed up by #6. This is my favorite one so far!! It is so sunny and happy. I finished the final seam just in time to pack up and go home on Sunday. It was such a great weekend. I can't wait to do it again... someday. Maybe after a nap. first up, i am glad you had a nice weekend. 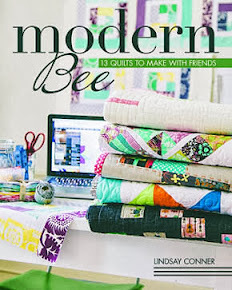 it is great being around other gals who love to sew and love fabric! we have a wonderful guild here in colorado too! 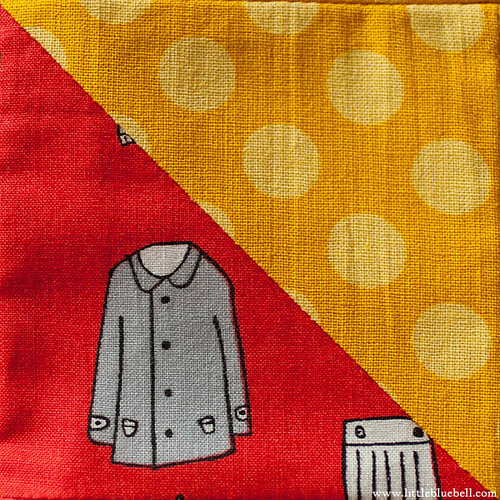 next, i LOVE the grey/geese quilt! 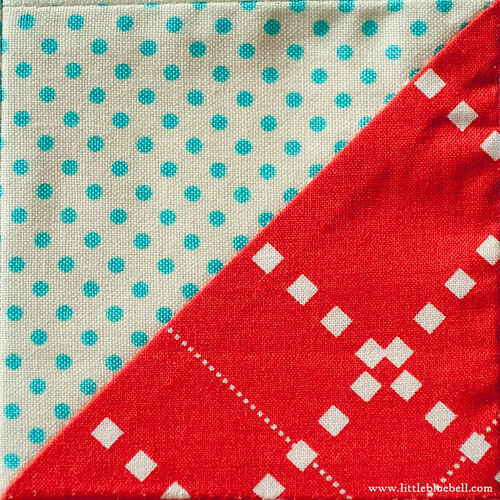 you did a great job of interpreting a traditional design with awesome modern fabrics! Sounds like a brilliant weekend! 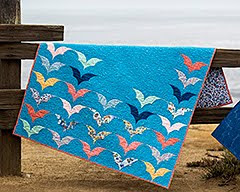 I love your geese and swoon blocks - what great colours you use! 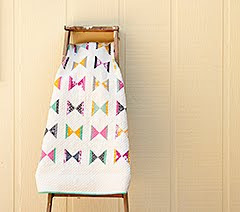 - and can't wait to see the big zig quilting, the sneak peek looks amazing! It sounds like a fabulous weekend. 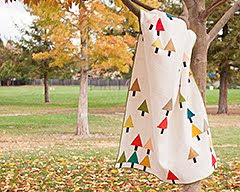 I love the Swoon fabrics and the geese look awesome too. Three cheers for a great weekend! You know you have done too much sewing when you mess up something simple. Been there done that many times! What a fun way to spend a weekend! I love going on quilting retreats. Besides hanging out with other like-minded people, you usually get so much done. Love your Grey Goose project! Those colors are awesome. 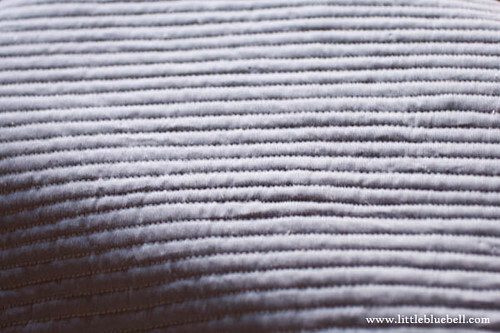 And your Swoon blocks are quite stunning and dramatic. I've been putting off making that project, but your blocks really inspire me. Oooh, I so love the Gray Goose top! Nice job! 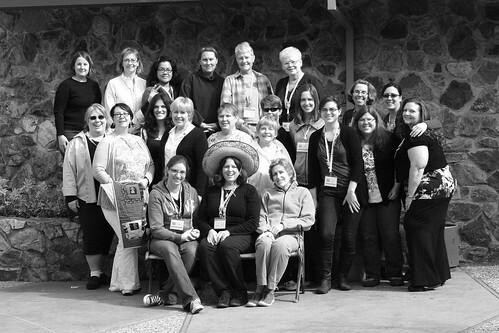 What a wonderful group of quilters - the weekend retreat sounds so fun, wish I could've been there! You made amazing progress and I love Gray Goose. 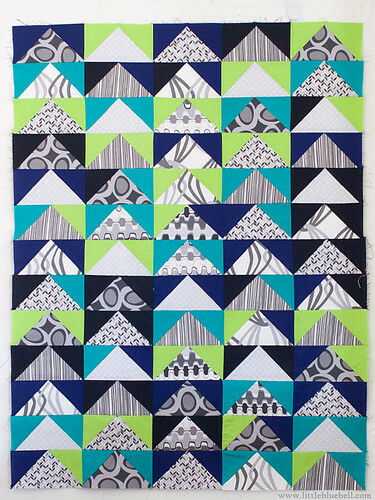 Adrianne, your Grey Goose (that's my vote) quilt is going to be stunning. Can't wait to see the finished product. 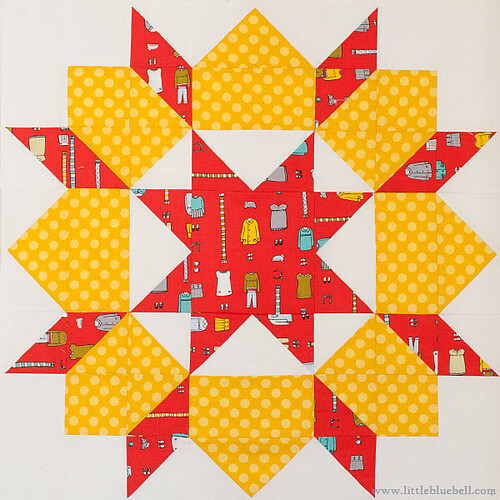 Same with Swoon--I love your fabric choices. Great work and fabulous black & white photo! I LOVE the flying geese top! Grey Goose is a good name. 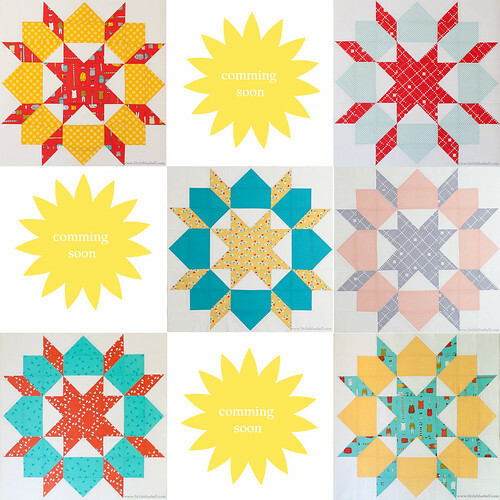 The swoon blocks look amazing too, and your photos are so bright and clear. Lovely. Lots of great work! I"m loving the California Swoon...love the sunny feel- could be because I'm looking out the window at a very gray day! And the Grey Goose is going to be wonderful! aww! Love that you gals had a retreat, what fun! It's great to see the above photo and see so many of you! Hugs from pdx! ;) Great swoon blocks btw! You were crazy productive! Guild retreats are so much fun. I can never keep my mouth shut long enough to accomplish anything, ha! Lovin' the grey goose and absolutely ADORE your swoon! Looks like loads of fun! Love your geese and your swoons are fab! 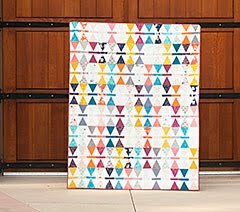 I just finished piecing together a quilt and couldn't decide how to quilt it (I'm very elementary when it comes to machine quilting). Your straight lines are a great idea for me! Thanks so much! I voted B (!) but the teal and grey is pretty! I LOVE California Swoon #5!! I think quilting retreats are the best.thing.ever!!! Where was yours held? Ours was at Bass Lake last weekend, not that far from Yosemite. I love the name Grey Goose. And your California Swoon is awesome. That's what I worked on at my retreat too.